Shipping cost vs delivery speed - what do online American shoppers really prefer? 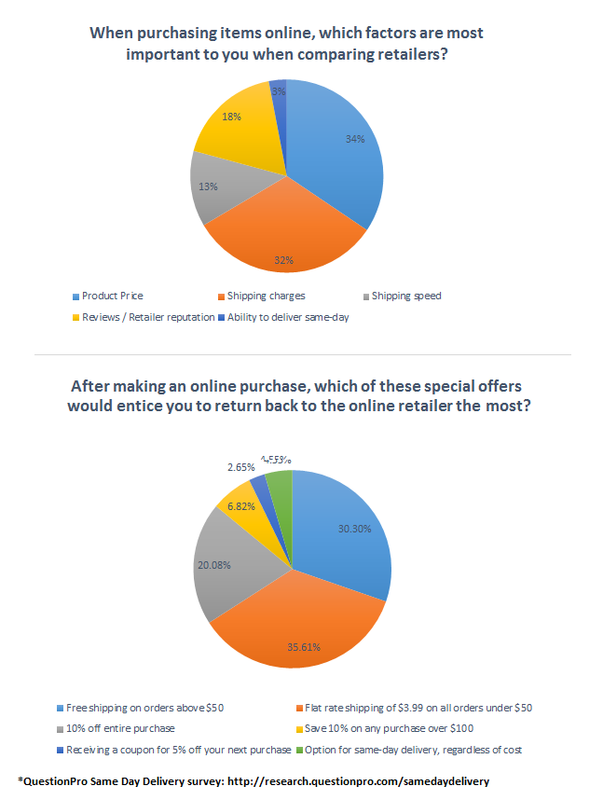 QuestionPro.com, a provider of online survey and analytics tools, announced the results of its Same-Day delivery survey. The results showed that an overwhelming majority of shoppers take cost of shipping over the speed of delivery into consideration when making purchases. 73% feel the same day is a great idea or at least worth trying, yet if offered at a reasonable cost, only 22% would actually make the purchase online as opposed to a store.